The effect of insomnia may be much more detrimental to your well-being than you think. Some people live many years with this sleep disorder without consulting a doctor for help. However, the effects can grow worse over time, making this a critical health issue. Preserving your health is one of the most important things you can do to have a fulfilling and satisfying life. Understanding how you are affected by insomnia can help you see the importance in receiving treatment for this sleep disorder. High blood pressure - Individuals who don't get enough sleep are at an increased risk for developing high blood pressure because their bodies never have a chance to calm down. Heart disease - High blood pressure and increased anxiety due to sleep deprivation can lead to heart disease. Weight gain - Lack of sleep can cause increased appetite and metabolism changes that can cause weight gain. Weight loss - Your appetite may decrease and you may lose weight quickly. Increased risk of cancer and diabetes - Researchers have found that insomnia can set off hormones and proteins responsible for increased risk for colon cancer, breast cancer, diabetes and other diseases. Reduces immune system functioning - A reduction in your immune system functioning can cause you to be more susceptible to illness. Gastrointestinal problems - You may experience constipation or diarrhea. Vision problems - Some individuals experience blurred vision. Increased headaches - You may begin to experience chronic headaches due to the stress of not sleeping. Learned insomnia - A nasty vicious circle can be caused by overanalyzing and worrying about not being able to sleep. People who try very hard to sleep, often don't and this leads to more insomnia. The health effects of not getting any sleep are not the only things that could impair your daily life; it can prevent you from performing at your normal ability causing you to lose friends, family, or your job. Inability to handle stress - When you don't get enough sleep, you may have a difficult time handling stress causing you to feel agitated and overwhelmed easily. Irritability - You may experience irritability making it difficult for you to be around people or getting through daily routines. Lack of concentration and focus - Feeling exhausted can interfere in your ability to pay attention. Memory loss - You may experience long and short-term memory loss. Older individuals will experience memory loss much sooner if they suffer from insomnia. Reduced reaction time - Lack of sleep can cause a slowdown in your reaction time. This can be dangerous if you work on machinery or operate a vehicle. Reduced motor skills - You may find that it's more difficult to handle objects or do certain things. Lower self esteem - You may have bloodshot eyes, dark circles under your eyes, look pale or other insomnia symptoms that cause you to have lower self-esteem. Increase involvement in risky situations - You are much more likely to take risk when you haven't had enough sleep. 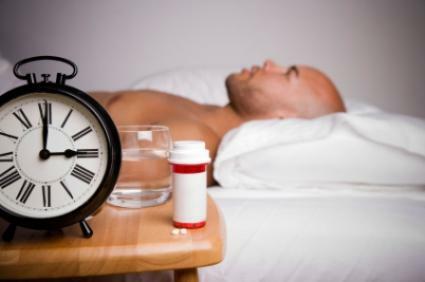 Increased risk for addictions - Individuals who experience insomnia and find their life crumbling around them will sometimes turn to drugs, alcohol, or other addictions to help with the effects of not sleeping. Depression - You may suffer from the symptoms of depression or depression may be the cause of your insomnia. Do not allow the effect of insomnia ruin your life. You can receive treatment for this sleep disorder. A healthcare professional is the only person that can accurately diagnose you with insomnia. Once diagnosed, your physician can prescribe you medication, run tests to see if there is a medical reason for your sleep disorder, send you to a sleep disorder clinic for further evaluation, and/or refer you to a psychiatrist to rule out any psychological causes. Before you know it, you will be able to have that restful night's sleep you only wish you could have right now.